A big bore favorite that combines the power of the big 444 Marlin cartridge which generates nearly 1 1/2 tons of muzzle energy. The 444 is a real joy to handle no matter what the conditions. The model 444 has awesome knockdown power. 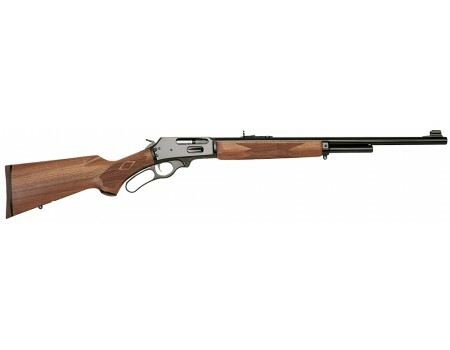 The action is as smooth as you've experienced, and features a 22" barrel with Ballard rifling.